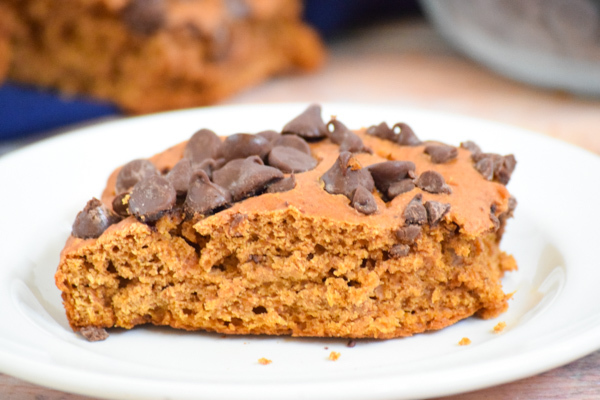 Try this easy Pumpkin Chocolate Chip Cake to celebrate all things pumpkin for fall and the holiday season! It’s fall!! I am so excited that summer has finally relinquished it’s grasp and I can enjoy days in sweaters, curled up with a book and the smells of pumpkin. Not everyone shares my enthusiasm (like my kids!) but this is always my favorite time of year! Utah is so beautiful in the fall; I never tire of seeing the leaves and enjoy the cooler temperatures. 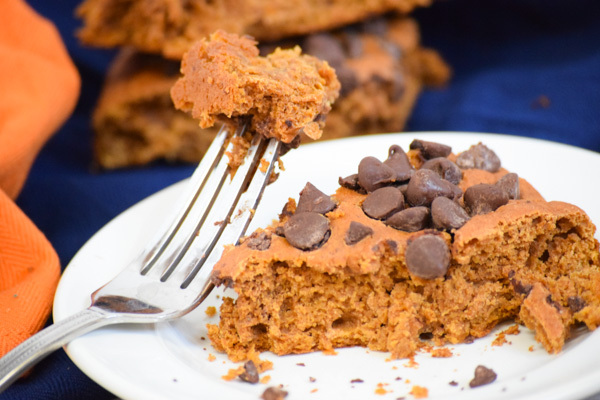 To celebrate my love for pumpkin, I decided to put a pumpkin spin on one of my most popular recipes for Chocolate Chip Pudding Cake. 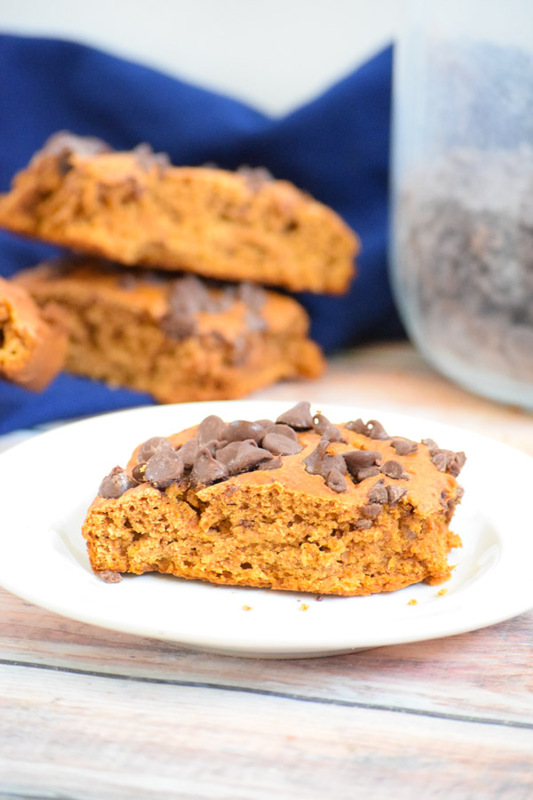 It’s an easy cake with just a few ingredients and I knew it would work well for a fall treat. I’ve made this a few times now for both sides of my family and it’s been a hit! If you really like it sweet, you can use milk chocolate chips. We used semi-sweet to balance out the sweetness. This version is still simple, though I did add two extra ingredients with the pumpkin and pumpkin pie spice. And instead of chocolate cake mix, it’s a spice cake mix! I have no doubt that you already have all the ingredients in your pantry! This is the perfect cake to whip together if you need to bring something to a family dinner or party. And shhhhh…I won’t tell anyone how easy it was if you don’t! Everyone will think you spent hours in the kitchen. If you want to keep up the act, you could always throw some flour on your face. In a large bowl, mix together cake mix, Pumpkin Spice Seasoning, and pumpkin until well combined. Cook vanilla pudding according to directions. Add cooked pudding to cake mixture and combine well. Grease 9x13 pan and add cake mixture. Bake for 40 minutes until toothpick inserted into cake comes out clean. Be sure to watch towards the end so edges don't burn.